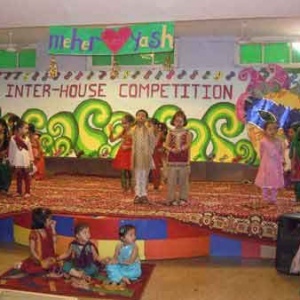 Keeping in view, high standards and maintaining a healthy competition among our kids ; K.R.M at Paschim Vihar had organised an inter – house dance competition on 13th may 2011. 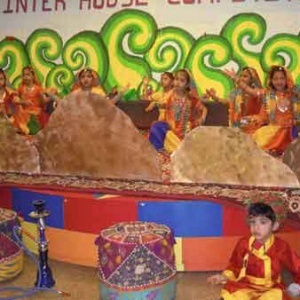 The theme was folk dances of India. Each house had selected a state and trained the students to perform in that traditional attire s uch as- Topaz House performed on Goan theme . They danced on “Maye ye Maya ye”. 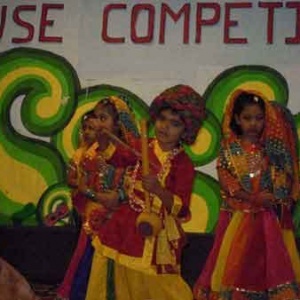 The students of Sapphire performed on the punjabi song “Lathi di chadar”. 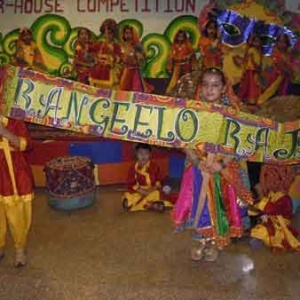 Emreald house performed on gujrati dance “ayo re maaro dholna.” Lastly Ruby house performed a ‘Ghoomar dance ‘. All the children performed with zeal and enthusiasm and made the event vibrant and sucessful .Thus carried this competetion in high spirit.